Troves of vehicles will be up for bidding at the upcoming VandDerBrink Auctions. Yvette VanDerBrink may have become an overnight sensation in 2013 when she staged the Lambrecht Chevrolet auction. It drew more than 20,000 people and a national television audience to the tiny farming community of Pierce, Nebraska, which has a population 1,700. 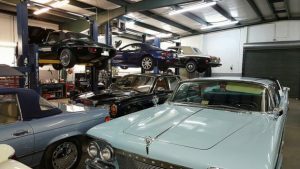 She’s been doing sales of large collections of vehicles with rust-and-grit patina for more than a decade, including the sale in 2003 of her own father’s collection of more than 200 vehicles. Out of the 200 sold, 60 of them were 1957 Chevrolets! On March 24, VanDerBrink Auctions Company will take bids on the Alan Reitz Estate Farm Equipment Auction in Mansfield, South Dakota. 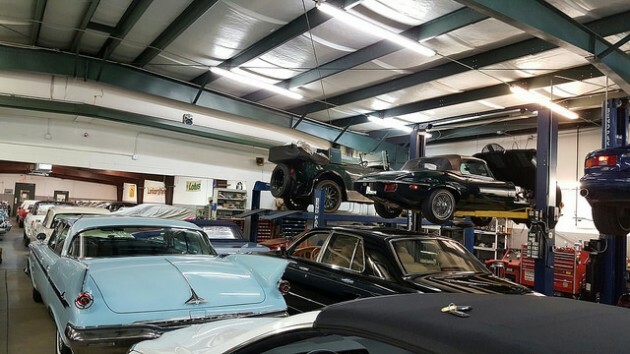 “In the world of collector cars, there is nothing more exciting than coming across a collection that is a true find,” Yvette VanDenBrink said in an email. “Alan Rietz in South Dakota is one of these collections. 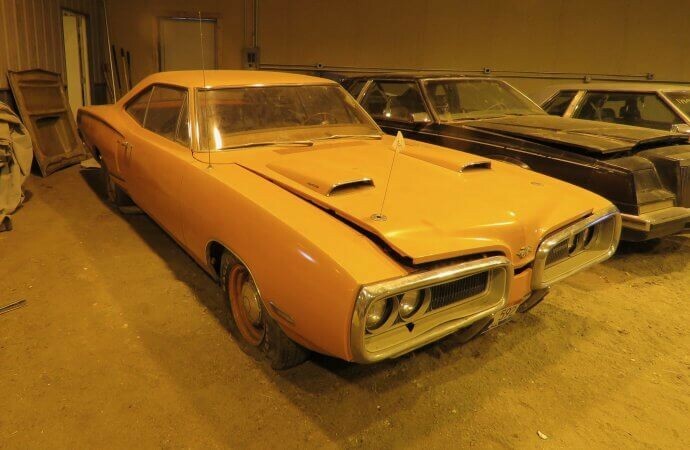 “Mopar muscle cars, huge hoard of parts, and more. Ever since he was in high school, there was Mopar or No Car. Just for the record, the Road Runner convertible was wife Linda Rietz’ daily driver. 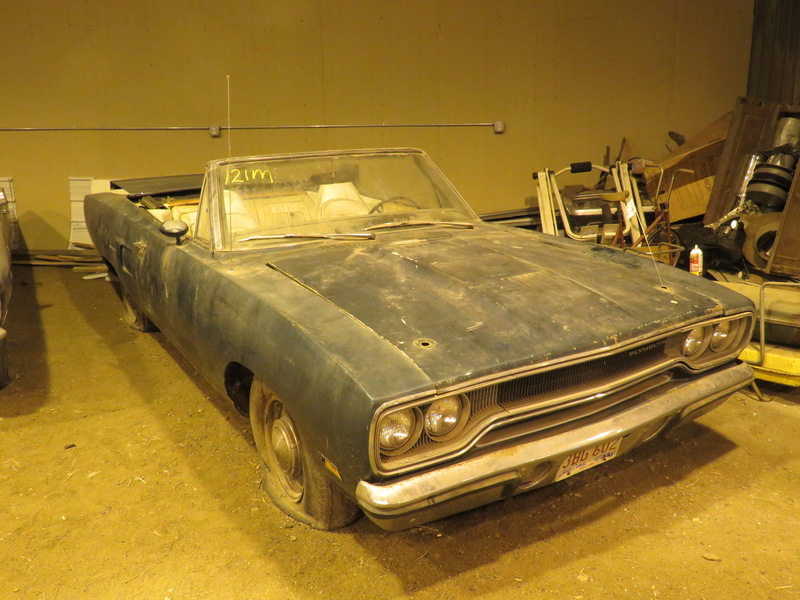 And it’s not all-Mopar vehicles that Rietz collected. 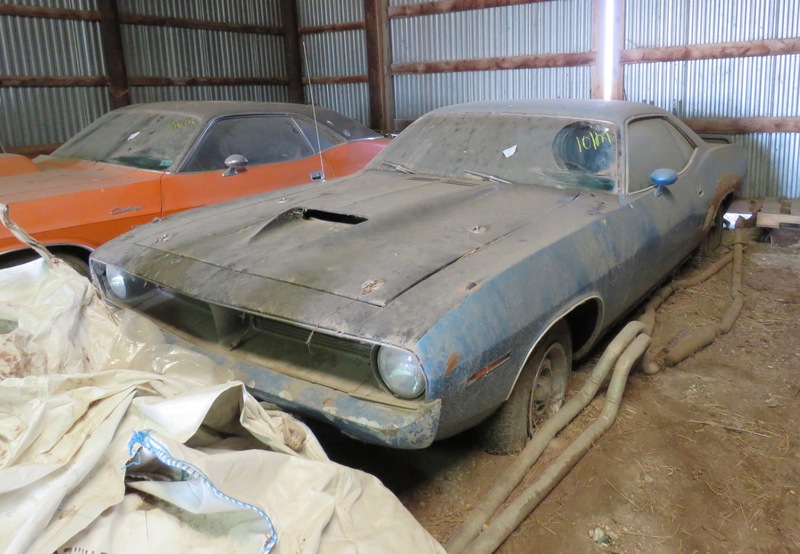 There also are Corvettes and other classic vehicles in this barnfind collection. In addition to the cars, there are “hundreds of motors, rare parts, and more”. 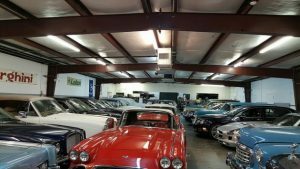 On April 21, in between the Reitz Auction, VanDerBrink and her team will be in Longview, Texas for The Smith Cadillac Collection sale of nearly 300 vehicles. 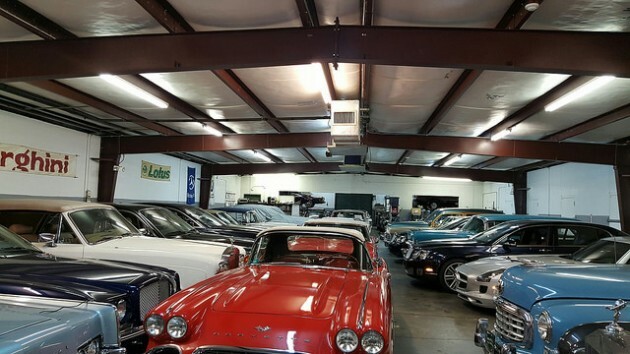 Out of all of these, 90 percent of them are Cadillacs….50 being big-finned 1959 models. Smith’s Awesome Collection include a No. 18 out of 304-built 1958 Eldorado Broughams. Also included is a 1953 Buick Skylark Convertible, a 1948 Cadillac convertible, as well as Chrysler/Plymouth/Imperial/Dodges, Pontiac/Oldsmobile/Buicks, and Lincoln/Mercurys. As previously stated, all are being sold at no reserve, and arrangements already have been made to stay over to the 22nd to make sure all the cars and parts get their turn in the bidding process. Other car collection sales that VanDerBrink has scheduled are June 16 at Basehor, Kansas, July 21 in Griswold, Iowa, and August 25 at Vicksburg, Michigan. For information, visit the VanDerBrink Auctions website.